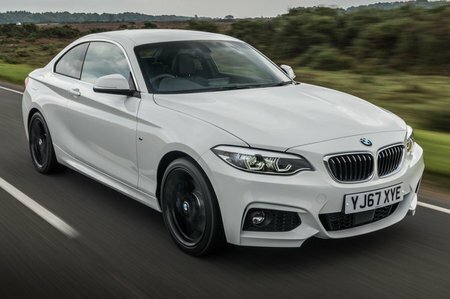 BMW 2 Series 220i M Sport 2dr [Nav] Step Auto 2019 Review | What Car? What Car? will save you at least £2,546, but our approved dealers could save you even more. This 182bhp four-cylinder, 2.0-litre turbocharged petrol produces a hearty performance when you rev it out, and is available with a standard six-speed manual or an eight-speed automatic.